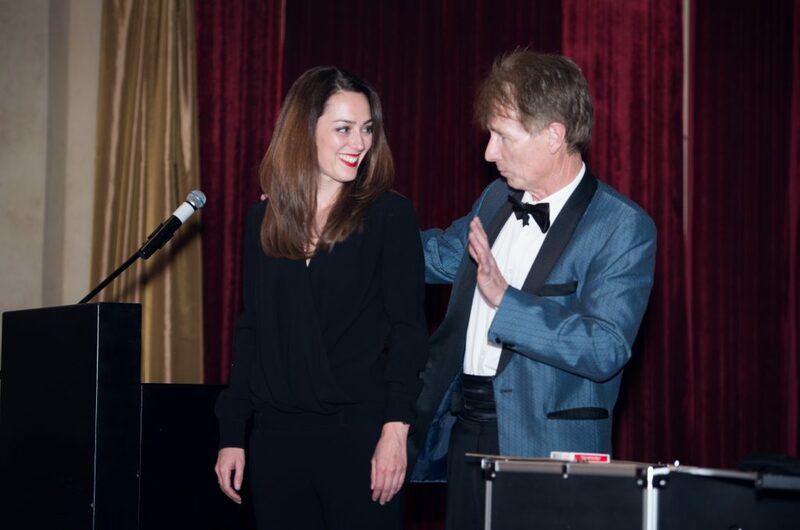 Set your event apart from the rest and create a lasting impression with an engaging corporate magician who captivates audiences with a unique blend of magic, comedy and showmanship. We usually recommend having either a Strolling Close-up Magician or a Platform show to add to the event. You might even like to consider a package of both, for a full evening of entertainment. Please click on the tabs which are found on the HOME PAGE for more information on these options. It’s so much more fun with live entertainment! We provide sound for voice and music as well as a platform if necessary, leaving you to relax and enjoy the party – the way it should be! Leave the hassle to me and I will make it a day they will remember for a long time to come! In this fast-moving world, people are always expecting more or looking for something different and appealing. 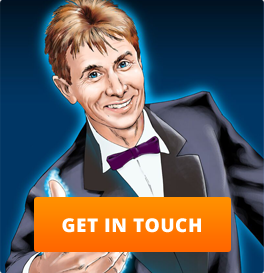 Having a Magician at your stand is a proven promotional strategy that enables you to generate more attention from passer-byers. This type of entertainment will reach out to delegates and create sales opportunities that may otherwise be missed. Each presentation is designed to connect with a group of people, drawing them in for a fascinating experience and ending with a message about your product, service or company, which is tactfully woven into the trick. Thus, magic is a vehicle to promote your product! After the short interaction, the company sales people are then able to discuss the product in more depth. My memorable presentations are real crowd-pleasers. Maximise returns on your next exhibition! 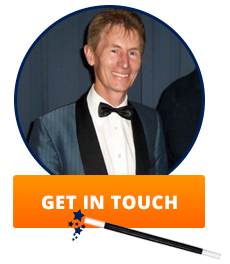 Please call to arrange a meeting with me and I will speak about and demonstrate the effectiveness of having such entertainment. There are a number of ways to add value to a Product Launch or special Promotion. For Eukanuba, we created the PROFESSOR character for the launch of their new product. This was a dynamic stage show in which he concocted the new product and finally, produced a gigantic banner displaying the product name and logo. We are also able to present a very original ice-breaker show, which is a slick ‘out-of-the-hands’ magic presentation and a final routine where your product, company name or theme of the day is tactfully brought into focus and highlighted. Please call to discuss this further – very highly recommended! 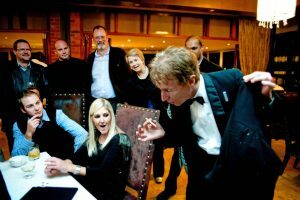 Trevor Duffy is a highly motivated, world-class Corporate Magician residing in Johannesburg, but also travels as necessary. For Trevor, performing magic is not just about ‘tricks’, but rather it was about connecting with people – touching people’s lives. Trevor dresses impeccably, will custom tailor his performance to suit your special occasion and offer a service based on absolute reliability, integrity and the highest of standards. The memory that is left behind, is about how special your event was and like seeing an awesome movie, your guests will keep reliving in their minds, the magic that happened right in their own hands and literally under their noses. Every show has different dynamics and in this modern world, one never knows what people are going through in their lives. 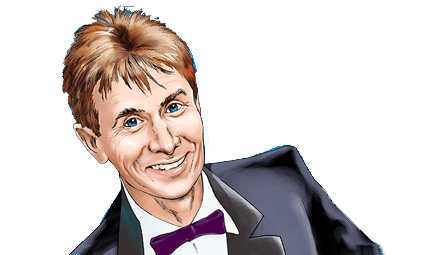 As a corporate magician, Trevor knows just how and when to approach the guests, being sensitive enough to the mood of his audience and finally leaving them with an experience that they will reminisce about for a long time – and actually want more! Over the past 25 years, Trevor has been engaged to perform for numerous high ranking companies, such as L’Oréal, Liberty Life, Bateman, Old Mutual, Kelloggs, Venture Web, Foskor, Aspen Pharmacare, Kolok and ICL. More and more companies such as these, find the use of a corporate magician to be invaluable to the success of their function.